Fall is almost over, but not quite, as we enter the month of November. If you know where to look, you might be able to find some colorful Autumn leaves in certain November road trip destinations. Or, maybe you’re just looking for a final getaway before you settle in for the winter. No matter what your motivation, November is a good time to hit the road and do some exploring. You’ve probably never heard of this place. It’s far from everything, east of Tucson, Arizona and west of El Paso, Texas. Chiricahua’s remote location makes it one of the least-visited properties in the National Park system. And in November, fewer than 5,000 people make the trip out to the “wonderland of rocks”. Chiricahua is, indeed, a rocky wonderland. Here, you can plan a day-long hike around “the big loop”, which will take you into the Heart of Rocks: a maze of hoodoos, balanced rocks, and natural sculptures. Shorter hikes, like Sugarloaf Mountain, and a scenic drive out to Massai Point, provide additional sightseeing opportunities. You can also attempt a drive over the Chiricahua Mountains to the community of Portal. It’s on this side of the park that you’ll find some brilliant fall colors in late October and into November, in Cave Creek Canyon. The area around Portal is also legendary among bird watchers, although April and May are the best month for birders to visit. 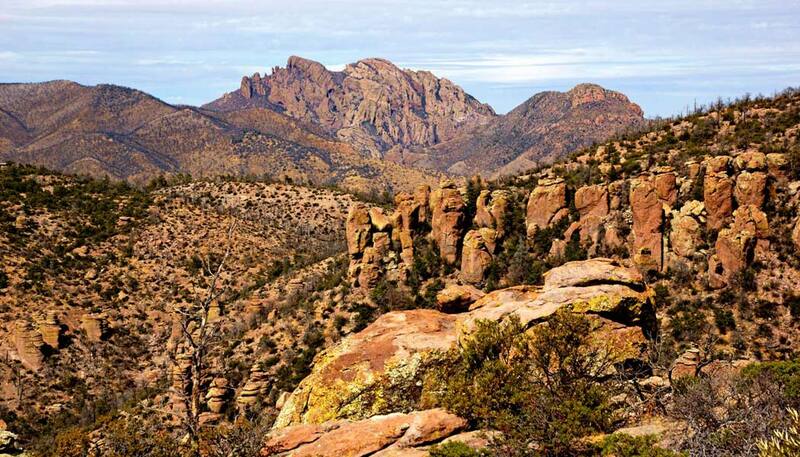 Tucson is about 125 miles away from Chiricahua National Monument. Double it for Phoenix. El Paso is about 200 miles from Portal, but to get into the heart of the park you’ll either need to add 75 miles to loop around the mountains, or attempt a drive on the dirt roads that cross the hills. You may experience freezing temperatures at night, but the days should be pleasant, topping out in the 60’s. Crowds won’t be a problem. On the east side of the park, you should find fall colors in Cave Creek Canyon until at least mid-November. It might be the last place you’d ever think to look for fall colors, but you can find them in west Texas, in the shadow of the highest mountain in the state. Guadalupe Mountains National Park includes some areas like McKittrick Canyon that are filled with maple trees that turn brilliant colors, usually in late October and into the first half of November. Even visiting later in November will reveal a blanket of colored leaves on the ground. Fall foliage aside, a November road trip to Guadalupe Mountains National Park is also a good idea for the hiking. You can tackle shorter trails, or the big one, up to Guadalupe Peak. You might experience some chilly temperatures in the mornings and evenings, but you shouldn’t have to worry about the thunderstorms that threaten hikers during the summer months. Oh, and don’t forget to include a side-trip to Carlsbad Caverns National Park, just up the road in New Mexico. 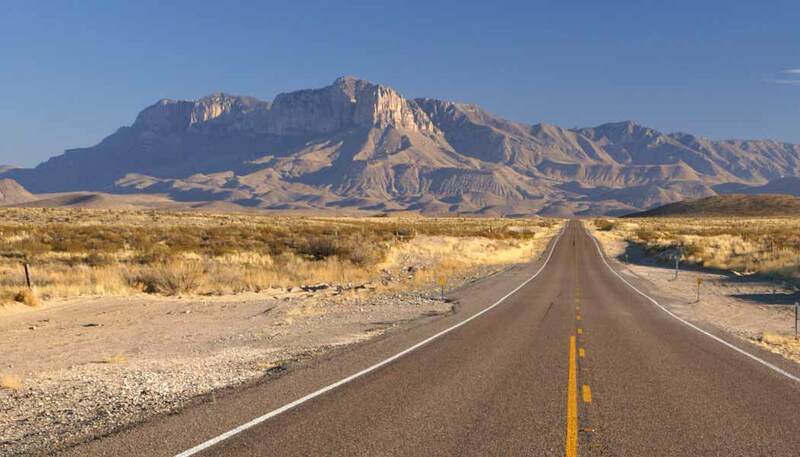 Or, drive down to Big Bend National Park, about 250 miles to the south. El Paso is about 115 miles away. Midland-Odessa is another good option, about 180 miles from Guadalupe Mountains. Check both to see which has the best rental car and airfare rates. And to make it a longer road trip, consider Albuquerque as a starting point. November is one of Guadalupe Mountains’ most-visited months, but you shouldn’t expect a big crowd anytime. Fall colors are brilliant into mid-November. Temperatures are chilly, but there’s little threat of thunderstorms. Zion National Park is great, any time of year. It does get choked by crowds during the summer months, though, making the off-season much more appealing. In November, you can expect to see some fall foliage reaching its peak — the latest of any of the surrounding areas. You could hike trails like Emerald Pools or Hidden Canyon, but you should find plenty of fall leaves along the scenic highway on the canyon floor or in the Kolob Canyons area of the park, off I-15. Las Vegas is just a 2 1/2 hour drive away from Zion National Park, making it the largest nearby airport. Salt Lake City would require a longer drive, but if a scenic November road trip is what you’re looking for, it might be a good option. St. George also has service from several major airlines, but expect flights to cost more. 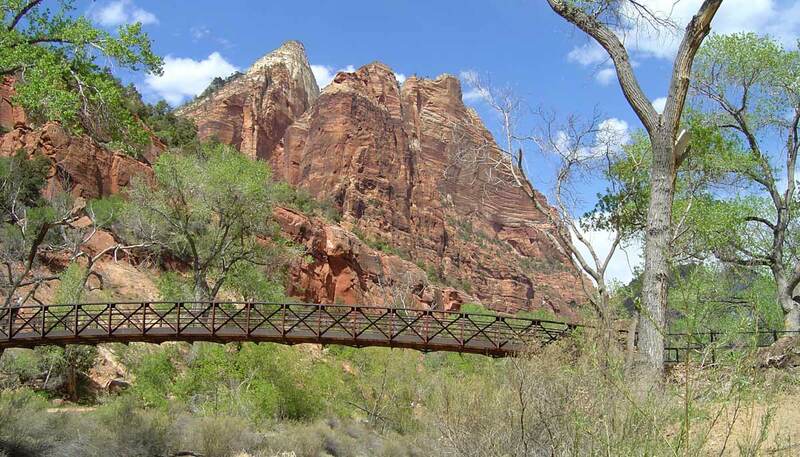 The number of visitors to Zion drops dramatically from October to November. Fall colors continue in many parts of the park into the middle of the month. The chance of snow is slim, although you will probably experience some chilly temperatures in the mornings and evenings. Also, Zion suspends shuttle service at some point in November each year, allowing you to drive your own vehicle into the canyon.